The Unity 8 desktop isn't ready yet, but all Ubuntu users will soon benefit from its more privacy-friendly approach. With Ubuntu 16.04 LTS, the OS will no longer send your local searches over the web by default. This will eliminate those obnoxious product search results from online stores, and should make the EFF and other organizations that criticized the practice happy. Even better, the change is being made to the classic Unity 7 desktop, not just the new Unity 8 desktop. 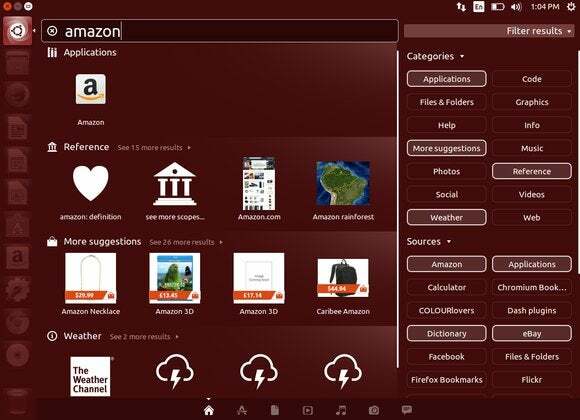 Canonical, the maker of Ubuntu, previously announced that Unity 8 wouldn't send searches over the Internet by default, but currently that interface is used only on Ubuntu phones and experimental Ubuntu desktop images. Unity 8 won’t arrive as a PC desktop for quite some time. 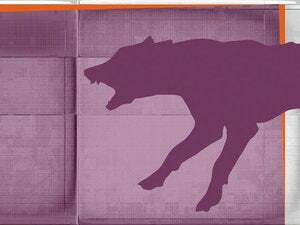 Ubuntu 16.04 LTS will feature a choice of desktop environments, and most Ubuntu users will likely stick with the stable Unity 7 desktop for years to come. Rather than make everyone wait for Unity 8 to get this change, Ubuntu’s developers are making Unity 7 a bit more like Unity 8 in Ubuntu 16.04 LTS. The "Include online search results" option will now be off by default. There are three major points here. First of all, online searches are completely off by default. Currently, they’re on by default. This change means that none of your dash searches will leave your computer without your express permission. If you like the online search results, you can re-enable them by opening the “System Preferences” window and changing the option under “Security & Privacy”—the same option you’d have to use to disable them today. Second, even if you do enable online search results, product search results from Amazon and Skimlinks will remain disabled. You can toggle them back on again from the dash, if you wish. 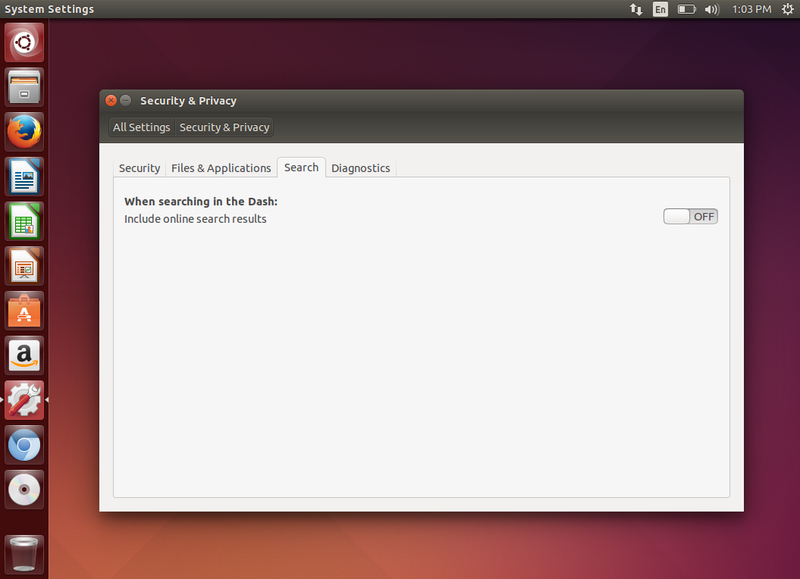 This means that Ubuntu is doubly disabling those widely disliked product search results. Ubuntu is also discontinuing its homegrown music store, which sold individual music tracks. Purchase links for music files won’t appear, and many of the music scopes have now been moved to the universe repository. Will Cooke also explained why these changes are being made now. “By making these changes now we can better manage our development priorities, servers, network bandwidth, etc. throughout the LTS period.” That makes sense, but it’s actually a bit surprising. If the online search results and product links were actually profitable, saving money on network bandwidth and servers wouldn’t be an issue, presumably. Ubuntu must not be making much money from this stuff. “We will not touch your existing settings,” the blog post says. So, if you upgrade to Ubuntu 16.04 without first disabling the online search results, you’ll need to do so after you upgrade. Previous releases of Ubuntu will still have online search results on by default. However, Canonical will be rolling out an update that removes the music store from previous versions of Ubuntu, too. This is a big change to Ubuntu, and a welcome one. After all, when this feature was originally added to Ubuntu, there wasn’t even a graphical toggle to disable online search results. Users had to manually uninstall packages from their system, often using terminal commands, to remove results they didn’t want to see.